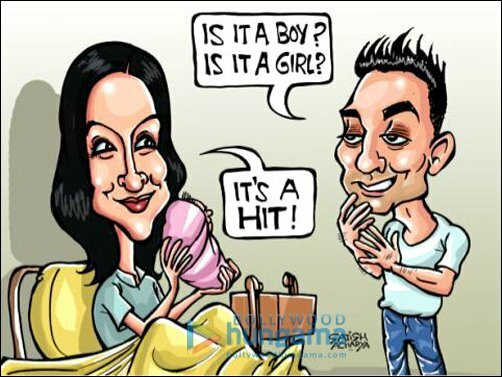 HomeCinemaMasalaWill Vidya Balan deliver boy, girl or hit with ‘Kahaani’? Will Vidya Balan deliver boy, girl or hit with ‘Kahaani’? Sujoy Ghosh’s Kahaani starring Vidya Balan has already become the talk of the town even before its release. The film which opens in cinemas on March 9 has generated tremendous buzz from the time the first promo came out. In keeping with the Kahaani euphoria, well known cartoonist Satish Acharya created this rather funny illustration.